This promotion is not available in Northern Ireland. The Deposit Bonus offer is only available during the Promotion Period which runs from 00:00 Saturday to 23:59 Sunday each week. The avoidance of doubt, please note that deposits greater than £20 will be awarded the maximum bonus of £10 only. 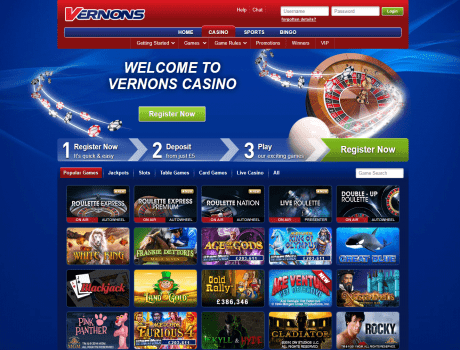 If you are not eligible for bonuses but would like to be, please get in touch with our customer care team on 0800 484 0044 or email casinosupport@vernons.com. In order for you to be able to withdraw your bonus and winnings accrued on this offer, you must wager at least 20 times your bonus plus deposit amount within 14 days of the bonus being issued.